Coonor: Coffee production in India, estimated at 2.91 million tonnes as per post-blossom findings, is likely to see a 10-15% fall owing to the heavy south-west monsoon. Global mark: The Coffee Board has to look at new ways of damage control since several coffee-importing countries have put in place stringent controls to check the maximum residue levels for pesticides. To add to the woes of the growers, there has also been an outbreak of the white stem borer, a pest that damages the stem and, eventually, the coffee. Meanwhile, the board has had to look at new ways of damage control since several coffee-importing countries had put in place stringent controls to check the maximum residue level for pesticides. The main pesticides, such as lindane and chlorpyriphos that are typically used to combat white stem borer, were residual in nature and thus likely to be banned by several countries. Global coffee exports went up to 98.4 million bags (a bag is 60 kg) during 2006-07 compared to 17.9 million bags the previous year. Exports from India, from April to mid-September, show a decline to 96,964 tonnes from 1,26,198 tonnes during the same year-ago period. Nearly 80% of India’s coffee production is exported. 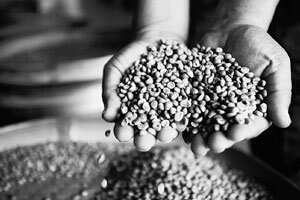 Global coffee production for 2006-07 was estimated at 121.4 million bags, recording an increase of 19.7 million bags. With production for 2007-08 already coming out from several countries and lower production estimated from Brazil, world production this year is estimated to be at 112 million bags. A.K. Bhandari, a leading planter and Coffee Board member, says exports would help maintain a demand-supply balance, that was already a saturated market where expanding India’s sales would have to come at the cost of another coffee producting country. He suggests that there is significant opportunity within India to boost coffee sales, especially in the North where coffee was not a beverage of choice. Still, at least in the short term, exports would have to be the way to go, says M.H. Ashraff, managing director of Tata Coffee Ltd, as efforts to boost domestic consumption would take time.